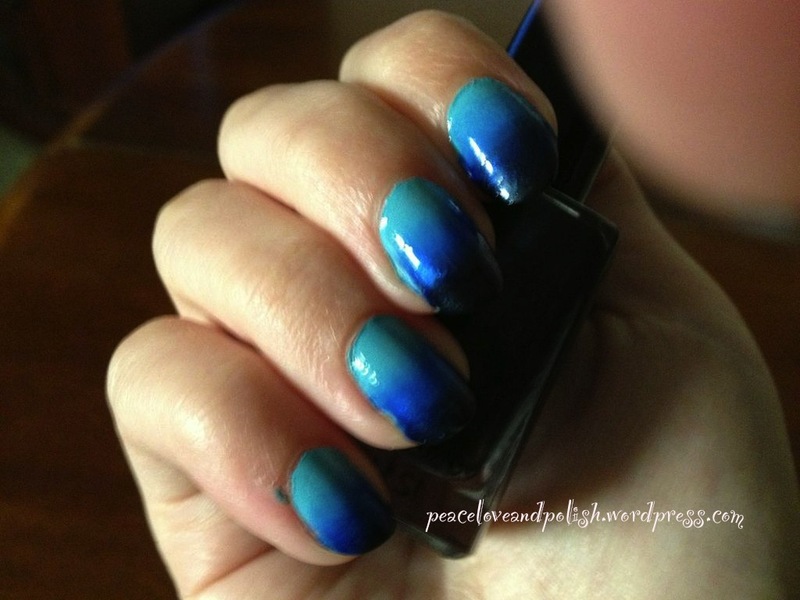 Fall 2013 Polish Comparisons and Swatches! I’m back! I’ve been majorly busy this week and have not had the time nor energy to even think about blogging. I missed swatching and sharing my lacquers with you, so I’m super glad to be back (and super glad my crazy schedule has FINALLY calmed down again!) I should be back to my normal posting schedule from this point forward! Today I’m going to be showing you some of my favorite fall nail polishes, and some dupes I’ve found. Not all polishes from this post are from a fall 2013 collection (though most are), instead, they’re just colors I like to wear in the winter! 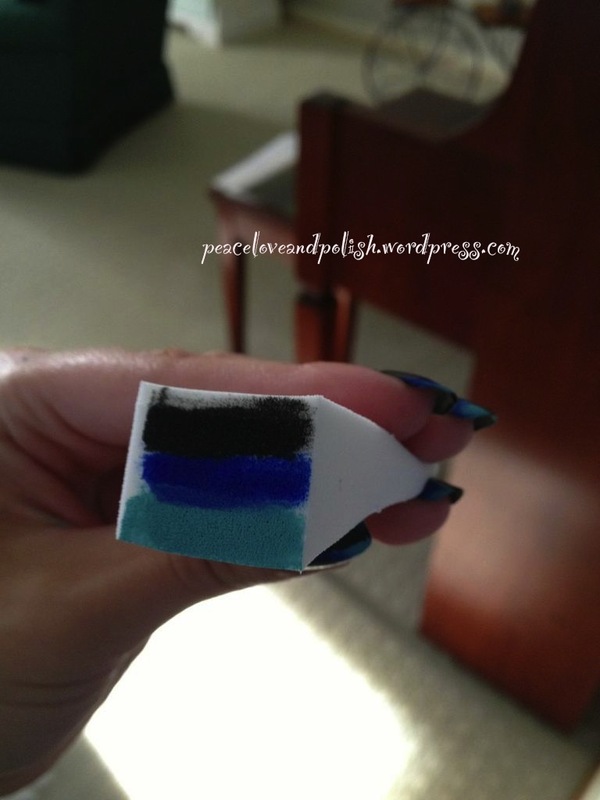 My goal is to provide you with an inexpensive alternative to some of the more high end polishes (though sometimes, you have to splurge!) 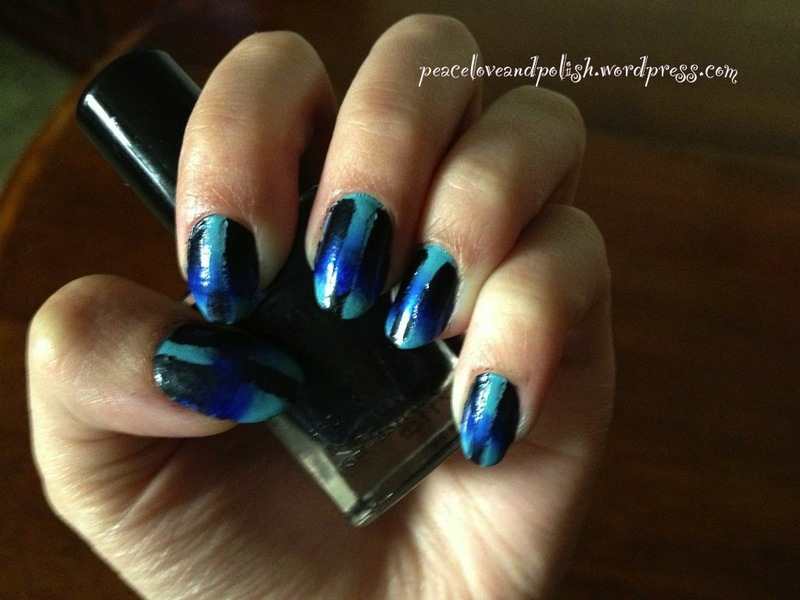 It’s also to help weed through my nail polish collection…. So let’s get started! Well, it’s pretty obvious: no dupes here. 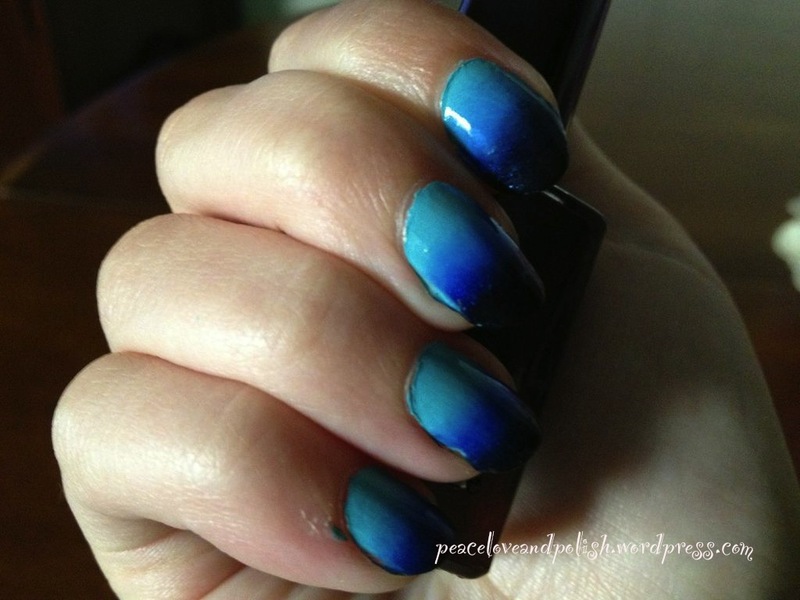 Especially not the Wet n’ Wild- it’s really sheer and nowhere near the same as the deep, grayed out base of the Essie. Port-folio gets closer to Essie, but it’s a much redder purple, and has a stronger green duochrome, whereas FTTOI has green, pink, blue, gray, silver, and more. I couldn’t recommend one over the other, so they’re all worth it in my book! NOTE: OPI’s Peace, Love, and OPI (not owned) is a completely spot-on dupe of For the Twill of it. You only need one or the other in your collection. While these two are close, they’re not dupes. Giovanna is a much deeper color than Mermaid, and Mermaid is much more metallic than Giovanna, which causes more brushstroke issues. Giovanna also has a more green base than the bluish Mermaid. 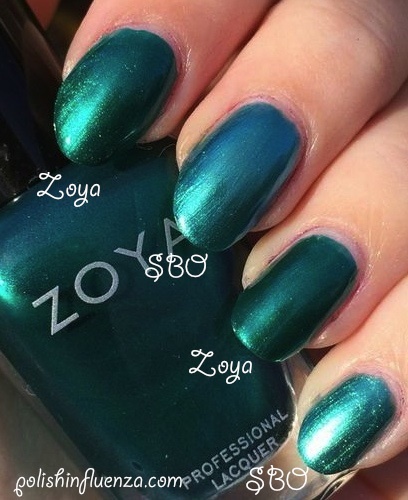 They are close enough that you don’t really need both, and if I had to recommend one, I’d recommend the Zoya, because it’s just a better, more workable formula. 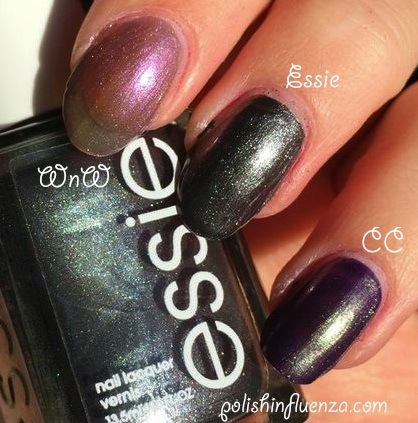 Essie Tart Deco v. Wet n’ Wild Blazed v. Sephora by OPI How Cute is That? How Cute is That? is the oddball of the bunch- it’s got a shimmer in its base and is a much cooler coral tone than the others. It’s also a lot sheerer than the other two, so I’m not really a big fan. Blazed is a bit cooler, darker, and more jelly-like than Tart Deco, but besides that, they’re pretty similar. 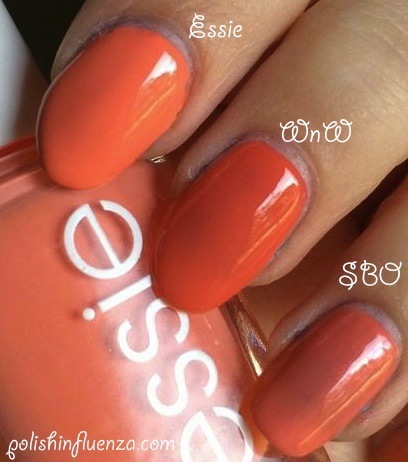 Depending on how bright you want your coral (Tart Deco is definitely more eye-searing than Blazed), either would make a good choice (though Wet n’ Wild is $0.99, and Essie is $7.99). Definitely no dupes here, despite them looking somewhat similar in the picture. Sarah dries much smoother than 069, and is much warmer and more red-based than the blue-based 69. Sarah also has a gorgeous gold shimmer in it that 069 lacks. Zoya wins hands down here. These two are pretty much spot on. In person, there’s a slight difference in that Nightwatcher is more black than 043, but honestly, it’s so subtle that either gives the same effect. I’d recommend Rue Beauté for the $3.99 price tag, but the Sally Hansen most definitely has the best brush and formula. It’s up to you! They look pretty similar in the picture, but NYC definitely is different from its Sally Hansen counterpart. NYC has a lot of silver and blue glitter mixed into a semi-pink base, while the Sally Hansen has pink glitter as the dominant color. Both are less than $3, so it’s really up to you which you prefer. I personally pick NYC because you don’t have to place any of the glitter, whereas Sally Hansen can be a bit fickle. Do you have any suggestions for more comparisons in the future? I can’t promise I can do all of them (some polishes are just too expensive to get my hands on at the moment), but if I have the polishes available to me, I’d love to do a comparison. Let me know what you’d like to see in the comments! Categories: Reviews | Tags: Color Club, comparison, dupes, Essie, nail polish, NYC, review, Rue Beauté, Sally Hansen, Sephora by OPI, swatches, Wet N' Wild, Zoya | Permalink. Happy Sunday-Funday! Hope everyone is having the same beautiful, sunny weather I’m having here in the First State! I’m definitely going to spend some time outside this afternoon- it’s gorgeous! In honor of the sun, I thought today I’d do a super shimmery, duochrome manicure that would really come to life outdoors. And Color Club’s Port-Folio sure doesn’t disappoint! Port-Folio is a rich, grey/green based purple with a GORGEOUS purple duochrome running through it. It’s truly spectacular both in the bottle and on the nails! It’s gorgeous both indoors and out. 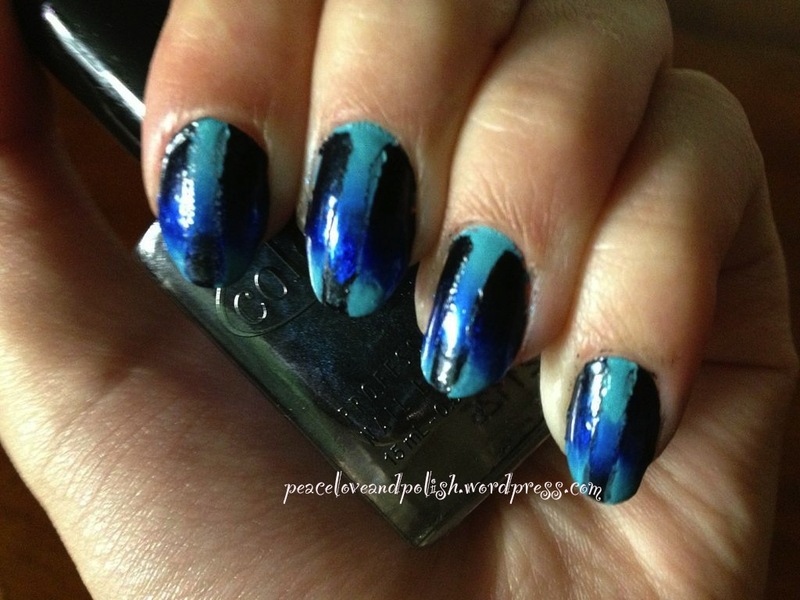 Despite the frosty nature of this polish, brushstrokes really aren’t an issue, at least for me. It’s pretty self-leveling. There can be some bald spots, but 2-3 coats will even it out. 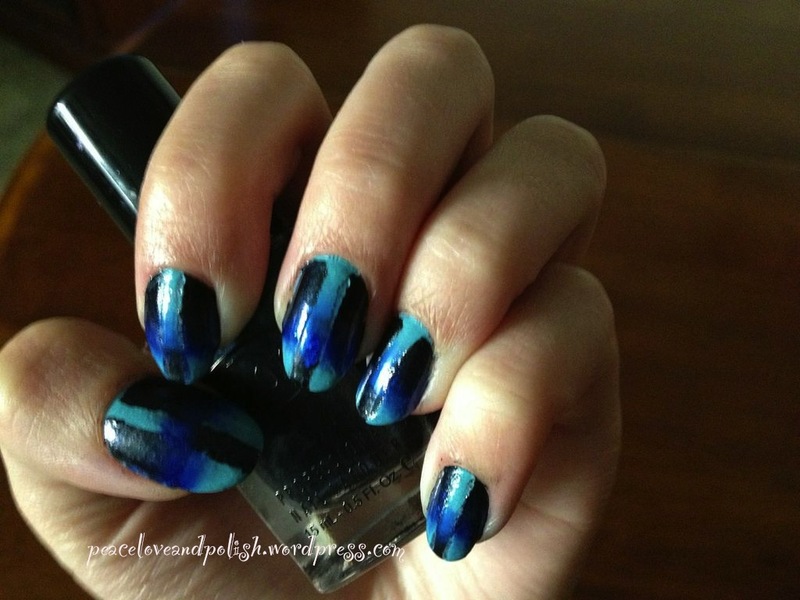 The polish is a little on the thicker side, but certainly not unmanageable. This is a great color for fall, it’s very reminiscent of OPI’s Peace, Love, and OPI from their San Francisco collection, as well as Essie’s For the Twill of it from their Fall 2013 collection. 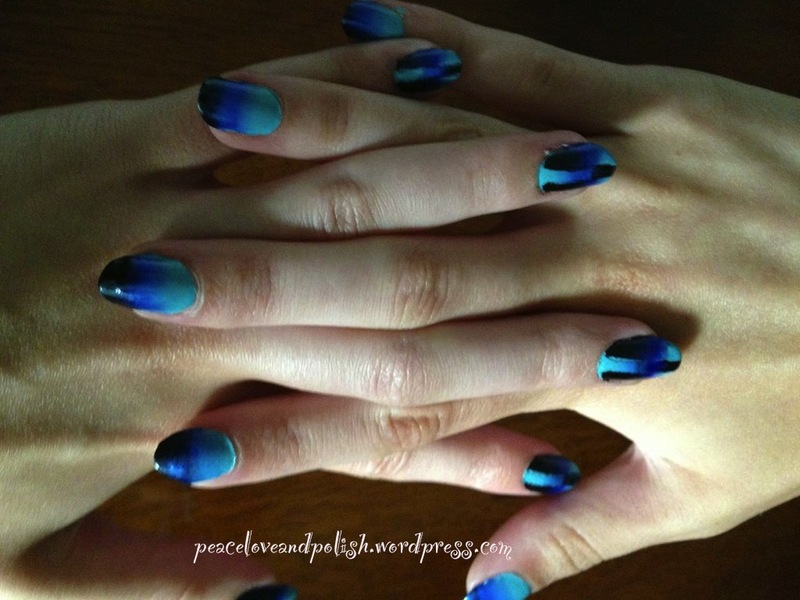 It’s not spot on to either of those two polishes, but it’s close enough to be in the same family. Pictures below are 3 coats of Port-Folio, no topcoat. Just look at that gorgeous green running through the bottle! This polish is a beauty! What do you think of this polish? 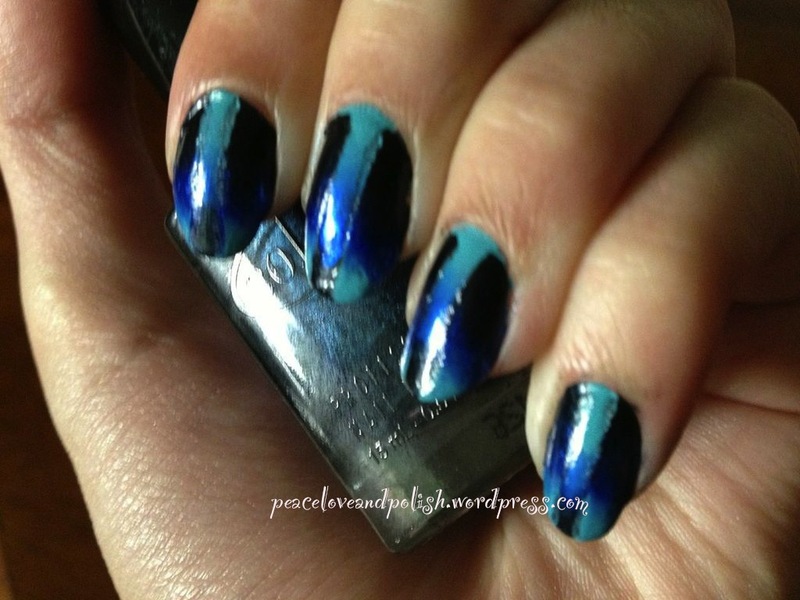 Are you into this kind of duchrome trend that’s sweeping Fall 2013? Let me know in the comments! Color Club polishes retail for around $8 (though I actually got my bottle at Rue 21 in a 2 for $5 nail polish deal! ), and can be found at Sally Beauty, some Ulta locations, some drugstores like CVS, or on their website, here. 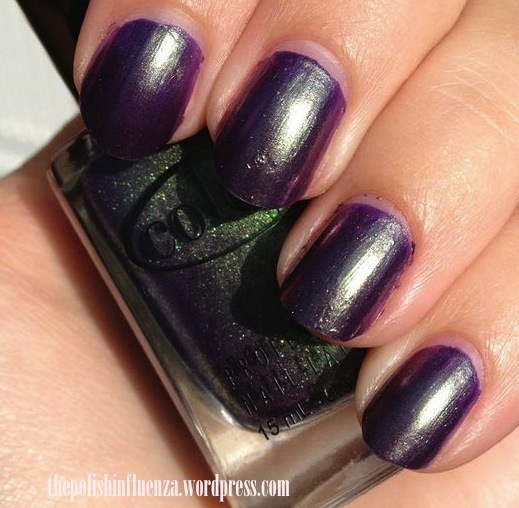 Categories: Color Club | Tags: Color Club, duochrome, fall 2013, green, MOTD, nail polish, purple | Permalink. 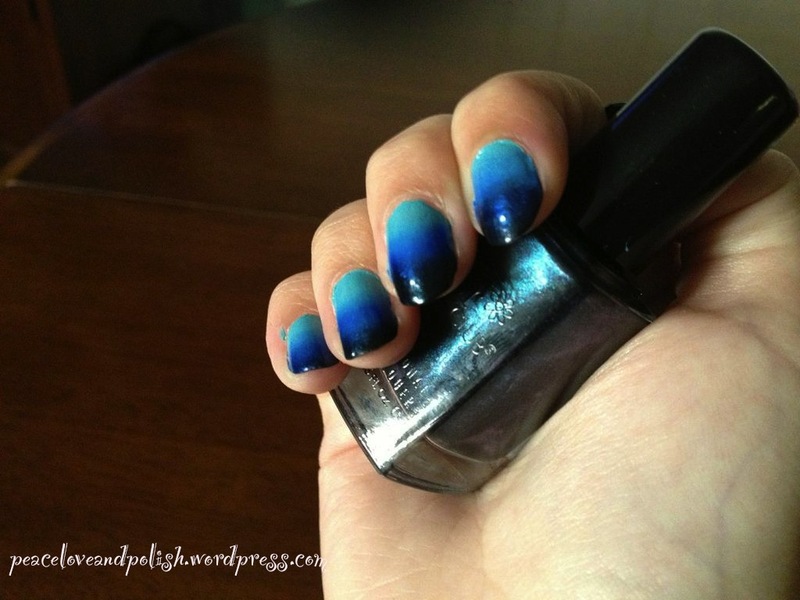 Categories: Nail Art | Tags: blue, Color Club, gradient, nail art, nail polish, Wet N' Wild | Permalink.